Who doesn’t love dogs? The way they greet you when you come home. The way they find that perfect spot right on your lap even if they weight 100 lbs. However, despite this undeniable camaraderie, there is no denying that dog’s make a total mess of your home’s carpet. The below infographic outlines the importance of regular carpet cleaning when you own a dog. Did you know that 8% of retail transactions are now ecommerce purchases with most analysis pointing at this number beginning to outpace growth of it’s brick and mortar counterpart? Or how about that within the next five years, 27% of purchases will likely be made through a mobile platform? Check out the below infographic for more ecommerce facts similar to these. 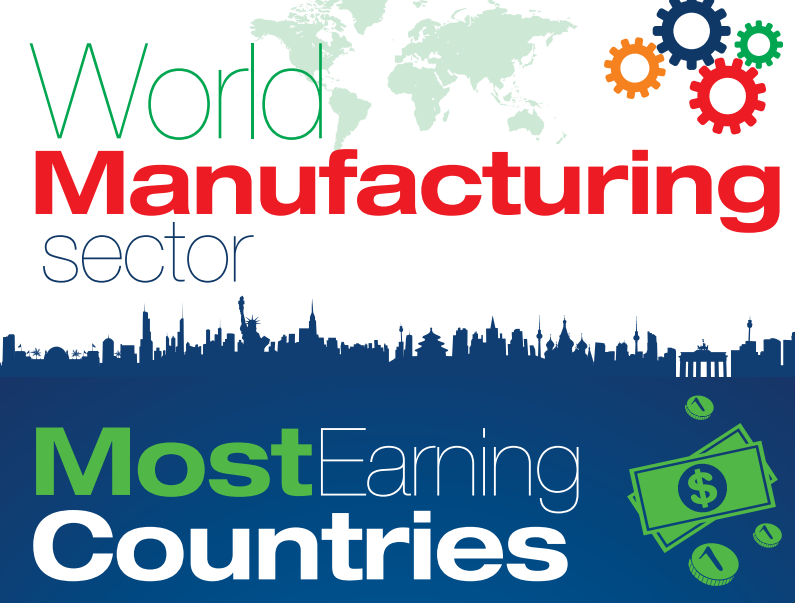 Ever curious about what countries earn the most in manufacturing? How about what each country on the list specializes in manufacturing? Well look no further, the below infographic details out all that information and more. Click to launch the full version. The cloud, despite it’s ever growing presence in the workplace, is not only still a mystery for some, but also a ridiculously difficult thing to protect for the folks in IT. Think about it, all that super valuable information all stored in one place, where even one employee can mess everything up. The below infographic should be shared with everyone in IT to ease their concerns that they’re not alone. Thinking back 20 years ago, engineers and marketers alike worked under a far different project management structure. But things began to change as technology improved. The philosophy of the workday and how a project is broken down and distributed for work drastically changed. Check out the below infographic to read all about current Agile Methodology. With summer fast approaching, and your summer bod nearing completion, there is no sense in throwing all that hard work down the drain with over-indulging on some high calorie beverages. The below infographic lists out 12 refreshing and healthy summer cocktails for those of us who want to enjoy the finer things in life without worrying too much about the negatives.